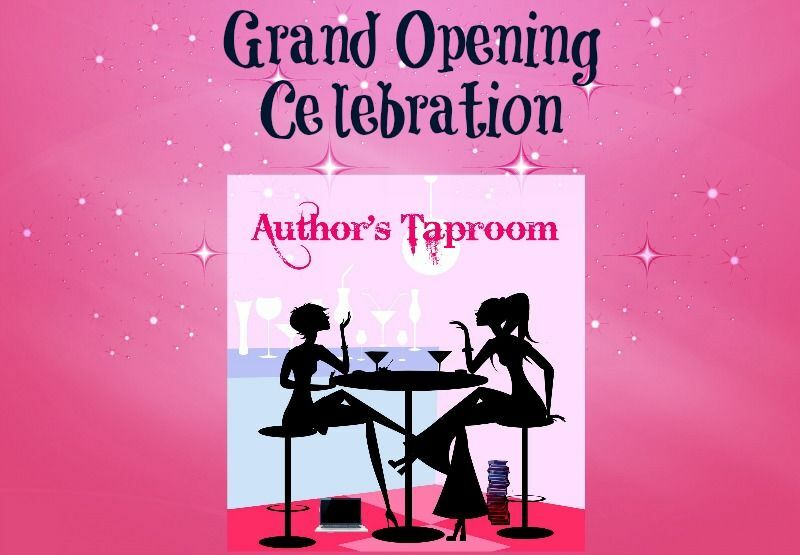 Author’s Taproom’s Grand Opening Celebration! Hello and welcome to the Official Grand Opening Celebration of the Author’s Taproom! We’re very excited to be starting this venture together and sharing it with you. Let us introduce ourselves first though, shall we? The Author’s Taproom is the brainchild of two friends that you might have seen around a time or two in the online book community, Shannon from Cocktails and Books and Crystal from Reading Between the Wines Book Club. If you haven’t by chance met us yet, well, it’s nice to finally meet you! With several years under our belts in the blogging community and being life-long readers at heart, there is nothing that we love more than getting minutely involved with authors and the books they write. So, it shouldn’t come as a surprise that the idea of The Author’s Taproom stemmed from this desire to help our favorite authors promote their books. We understand that as an author, your time is precious and often limited. Our mission is to provide authors with more time to write their stories so that they can be in the reader’s hands sooner, with less worries for them! We provide a variety of services that you can individually chose from to lighten your work load a little or combine them for the ultimate advantage in reduction of time consuming tasks. Whether you need assistance with the everyday necessities such as answering fan mail, social media promotion or street team management to querying for reviews and setting up blog tours, we are here to help our authors make their lives just a little bit easier. We haven’t forgotten our fellow bloggers either! After setting up our first blog tour (which filled up in a less than a week with more dates having to be added!) we were happy to receive comments from our participating bloggers about how organized and aesthetically pleasing the materials sent were. We know that bloggers are the backbone to the reading community and we value their time, promising a stress-free experience for our blog tour hosts. Readers, bloggers, and authors alike – we hope that you’ll join us on our new and exciting journey! You can find out more about all of the services we offer at https://authorstaproom.com/. Take a look around! You can also like us on Facebook and follow us on Twitter @AuthorsTaproom. To entice you further and kick off this Grand Opening Celebration, we have a giveaway that we would like to share with you, so don’t miss the details below. We look forward to working with you and please don’t hesitate to ask any questions that you may have! The Author’s Taproom, where every hour is happy hour! Please fill out the rafflecopter below to win a $5.00 eGift Card to Starbucks or a $10 & $25 eGift Card to Amazon or Barnes & Noble! Feel free to share on your blog or via social networks! 😀 I am so happy to see you two got this wonderful idea off the ground and running! Authors, if you need some help I couldn’t recommend this service enough, but specifically Crystal and Shannon. These ladies are dedicated and hard working, fair and truly give a damn about making sure you’re building an audience. As a fellow blogger I always look forward to being invited to their events and value their input when it comes to my own. Happy Grand Opening Crystal & Shannon!